For thousands of years, the Himalayas have held a profound significance for the peoples of South Asia, as their literature, mythologies, and religions reflect. Since ancient times the vast glaciated heights have attracted the attention of the pilgrim mountaineers of India, who coined the Sanskrit name Himalaya-from hima ("snow") and alaya ("abode")-for that great mountain system. In contemporary times the Himalayas have offered the greatest attraction and the greatest challenge to mountaineers throughout the world. The north-facing slopes generally have a fairly thick soil cover, supporting dense forests at lower elevations and grasses higher up. The forest soils are dark brown in colour and silt loam in texture; they are ideally suited for growing fruit trees. The mountain meadow soils are well developed but vary in thickness and in their chemical properties. 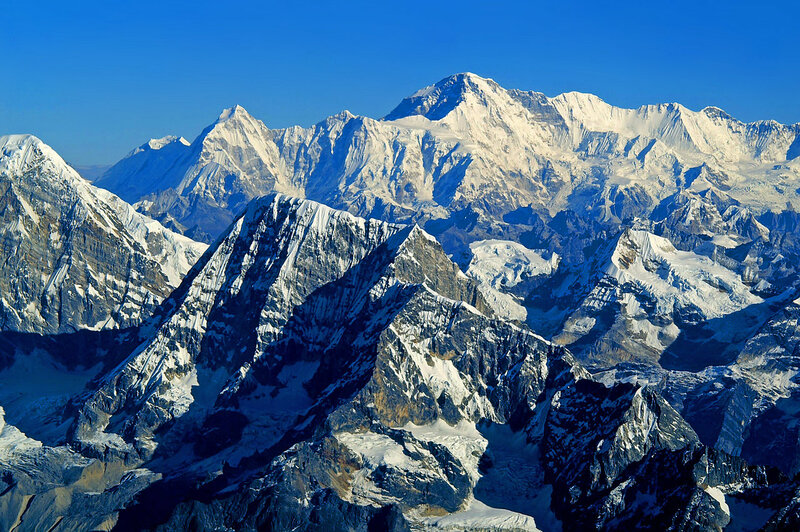 The Himalayas, as a great climatic divide affecting large systems of air and water circulation, help determine meteorological conditions in the Indian subcontinent to the south and in the Central Asian highlands to the north. By virtue of its location and stupendous height, the Great Himalaya Range obstructs the passage of cold continental air from the north into India in winter..
© Copyright 2017 All rights reserved. Design Thakur Adhikari.